Sell electronic scrap containing precious metals in all forms direct to the processor from anywhere in the USA. 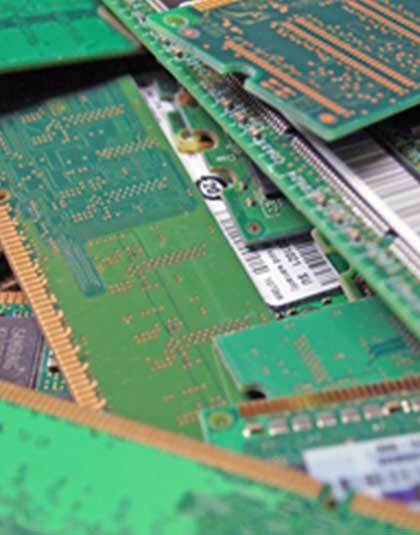 Customers throughout the United States contact us when they want to sell electronic scrap for top-dollar in all forms direct to the processor. We are a family owned and operated precious metals buying and processing company. We have been in business since 1945, customers throughout the United States trust us to handle their precious metals buying and processing needs. We do our own precious metals processing. Customers throughout the United States tell us that we pay more than anyone around for their electronic scrap containing precious metals. Precious Metals Reclaiming Service, in business since 1945 - today we buy and process high grade circuit boards and ic chips containing gold. We buy and process silver contacts and silver solder, as well as gold plated connectors and pins. We buy electronic scrap containing precious metals from customers who want to sell their material direct to the processor. Every day, customers from as far away as California, Texas and Washington trust us to pay more for their gold, silver, platinum and palladium scrap. 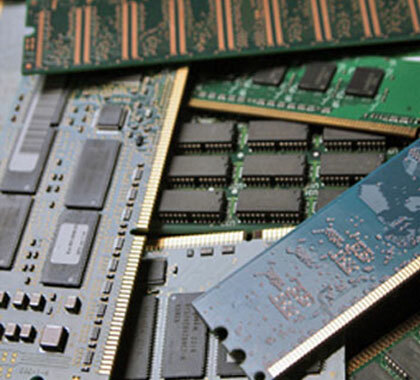 We buy and process ic chips, gold plated material, processors and ram/memory scrap. We are trusted by companies and individuals to ensure that you get the best value for your overstock and/or obsolete electronic scrap containing precious metals. We handle the precious metals processing needs of individuals and companies from across the United States. We are here for you, when you want to sell gold plated electronic scrap, ic chips, ram or any electronic scrap containing precious metals. We do our own precious metals processing to ensure you get the best pay-outs when you sell electronics containing gold as well as clients and companies who want to sell over stock industrial gold scrap and gold reject and obsolete precious metals scrap. Every day, customers tell us that we pay more than anyone around. Living in Oregon, I dealt with PMR (Precious Metals Reclaiming) thru the mail. They were quick with a phone call when they received my gold to tell me the value and just as quick getting a check to me. PMR was very fair, honest and very easy to deal with. I highly recommend them!! We have locations in Massachusetts and Florida, for over 65 years customers throughout the United States have trusted us to handle their precious metals processing needs. 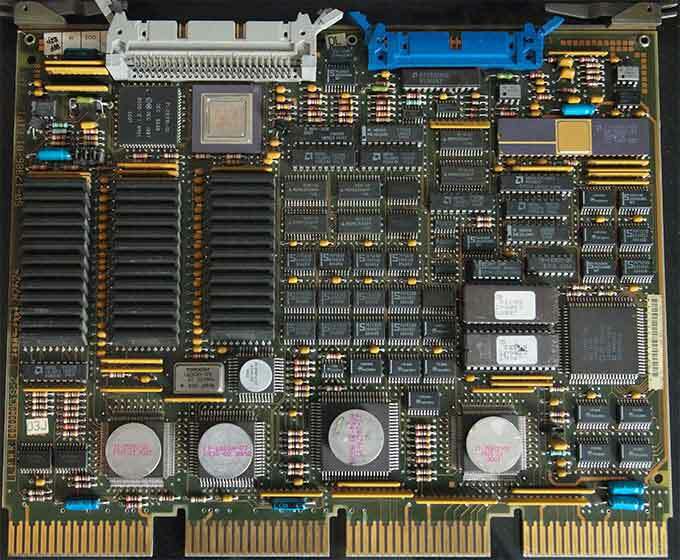 We buy circuit boards containing gold, gold and silver contacts, gold and silver rejects and obsolete electronic scrap items. We pay top-dollar to clients throughout the United States who want to sell gold ic chips and Intel gold plated processors. We buy and process precious metals scrap in all forms. Simply send us a sample of your material and we will let you know exactly what the material is worth. 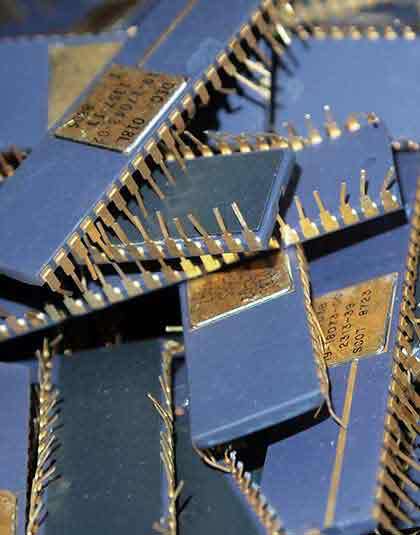 Customers throughout the United States sell their gold ic chips and electronic gold scrap in all forms direct to our buying and processing locations in Massachusetts and Florida. 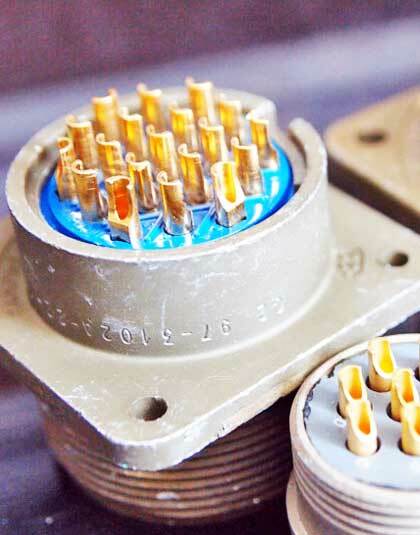 We are a leading buyer of microwave and aerospace industrial precious metals scrap. In business since 1945 - that's more than half a century of trusted precious metals refining service. 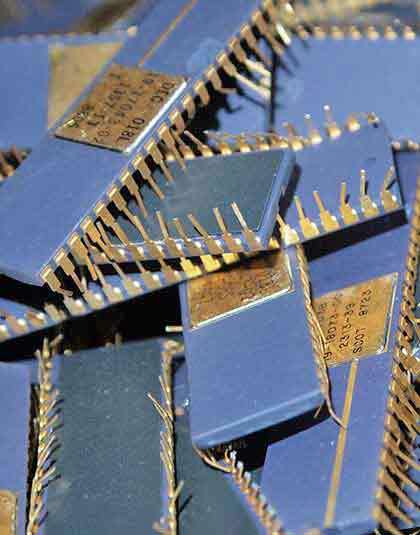 We buy gold semiconductor scrap and other electronic scrap containing precious metals including; ic chips, semiconductor scrap, ram and more. 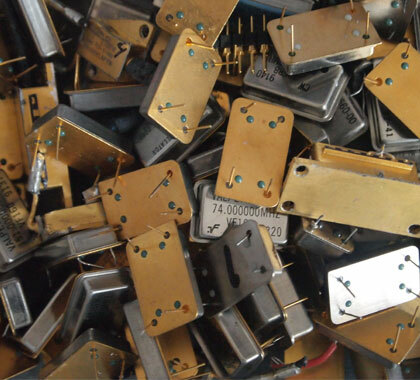 We have been in business since 1945, we buy gold electronic waste and precious metals scrap from customers as far away as Idaho, Oregon and Nevada from our Massachusetts and Florida gold refining and processing locations. © Copyright 2018 by Precious Metals Reclaiming Service. All Rights Reserved.